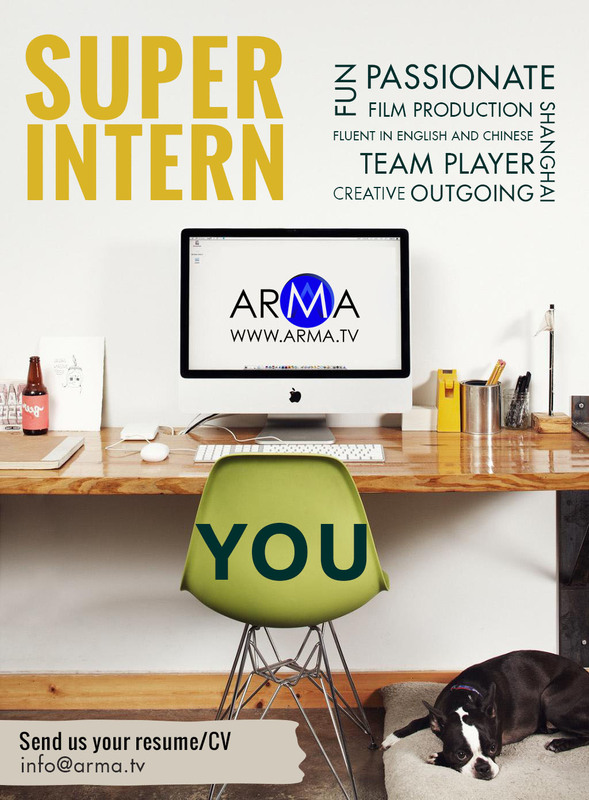 ARMA Media is looking for a Super Intern who would join our team in Shanghai. He or she should be passionate in film production industry, and a good team player with fluent English and Chinese. Responsibilities: Audiovisual research, creative concept design, social media support. •	Creative mind and out of the box thinker. •	Outgoing and a good team player. Passionate about video production and video marketing. •	Proficiency in English and good level of Chinese a must. •	Additional language skills (including Chinese) a plus. •	Microsoft Office Word, Excel, PPT a must. •	Adobe Photoshop, Premier a plus. 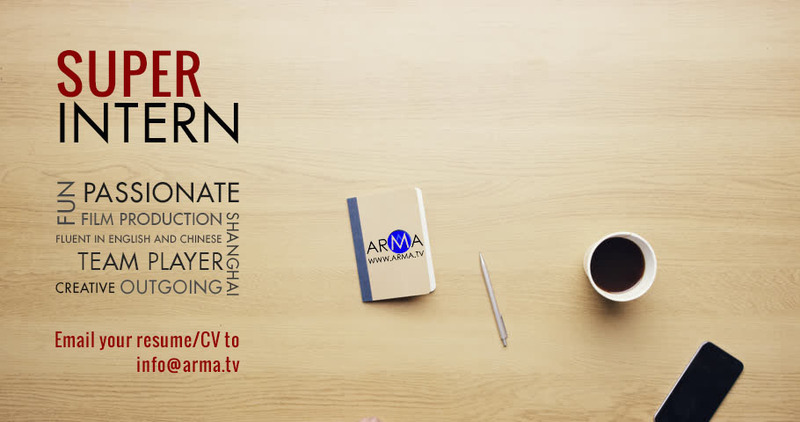 Please email your resume/CV to info@arma.tv. Please note Super Intern and your name in message subject. Applicants must be legal to work in China – Chinese Nationals or meet requirements for work permit to be provided by ARMA Media.